Hanoi Tour was never so refreshing and fun with us. If you are preparing to visit Vietnam, then we are here with the entire amenity packed tour package. 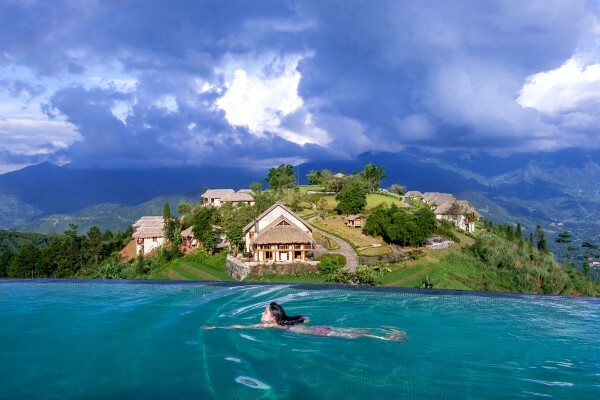 Enjoy Northern Vietnam tour with 7 days 6 nights to discover the mesmerizing Sapa town and Topas Ecolodge, where you can enjoy the sunset and dawn. 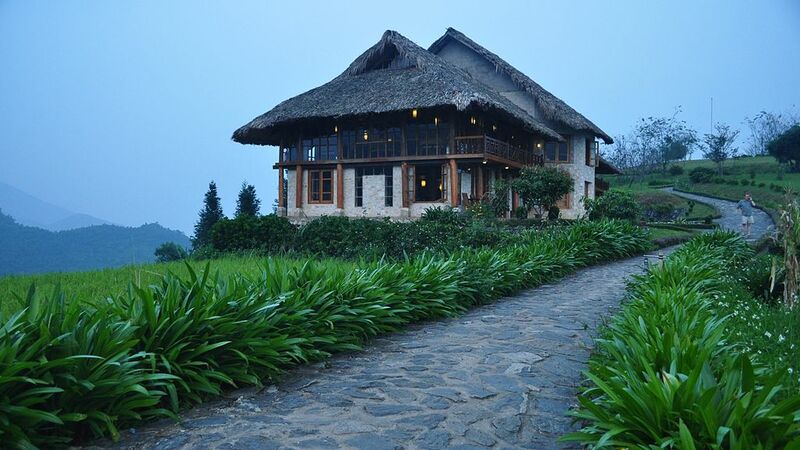 You can experience the beauty of rice fields and natural air, 20km from Sapa Town. 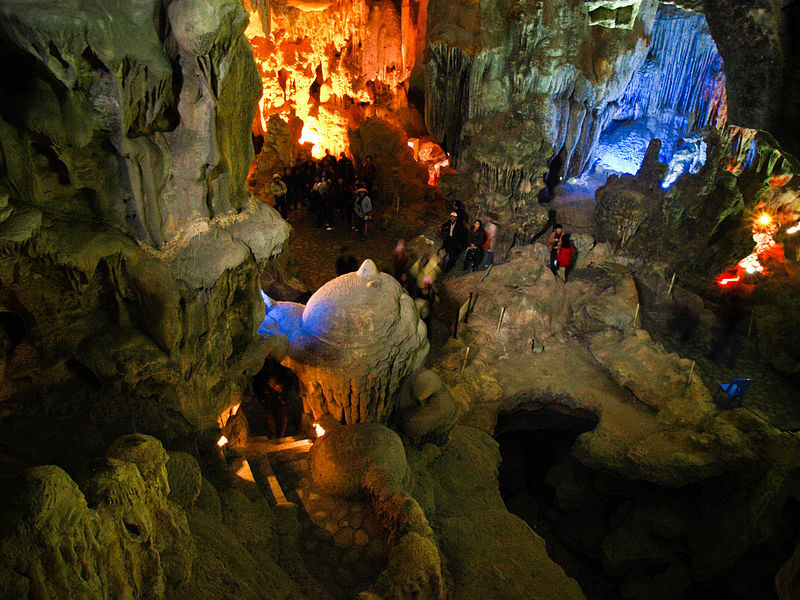 In addition, you likewise appreciate Halong bay by 2 day-1 night journey, you will audit the lovely scenes on Halong cove - World Heritage classed by UNESCO for 2 times. Day 1: Hanoi - short tour & street food - night train to laocai - Sapa (Meals: D on street food). Day 2: Laocai- Sapa - Silver Waterfall - Tram Ton pass Waterfall- Love - Heaven gate -Sapa (meals: B,L,D). Day 3: Sapa - Y Linh Ho - Laochai - Tavan - Topas Ecolodge (meals: B,L,D). 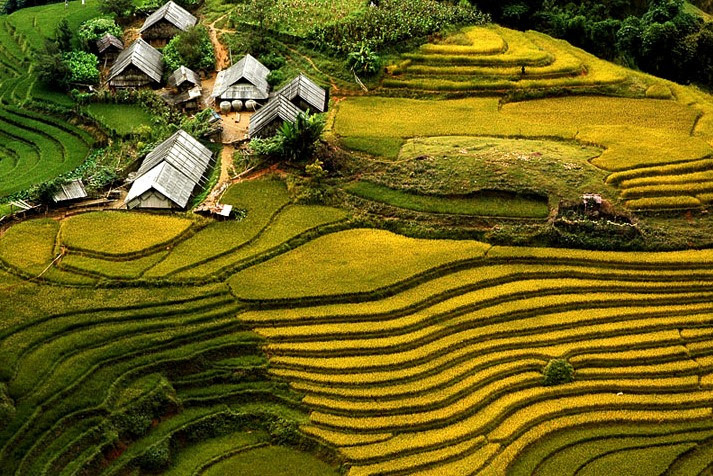 Day 4: Topas Ecolodge - Sapa tour (Cat Cat village) - night train to Hanoi (meals: B,L,D). Day 5: Arrival Hanoi - Halong bay (meals: B,L,D). Day 6: Halong bay - Hanoi (meals: B,L). Day 7: Hanoi departure (meals: B). 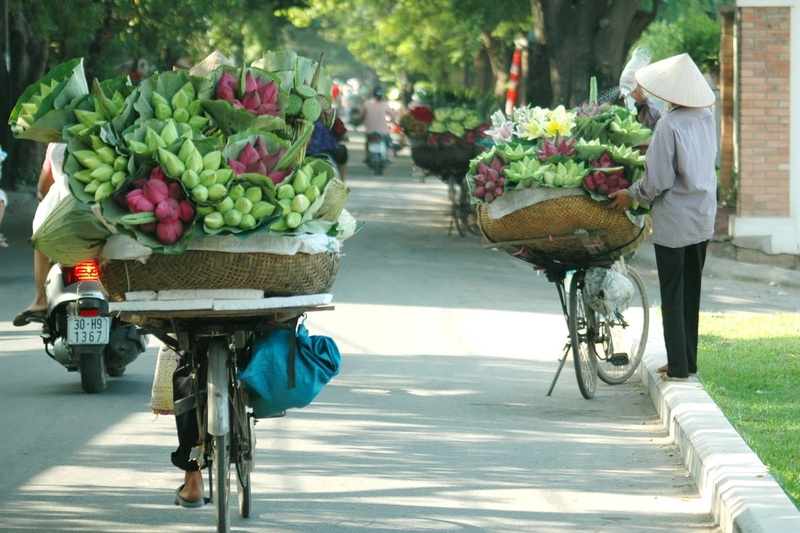 Day 1: Hanoi Arrival – Short tour & street food - Night train to Laocai - Sapa (meals: D on street food). Up on arrival in Hanoi, we will be welcomed by VN DISCOVERY TOURS car and driver, transferred to hotel in the city center, check in and relax. Note: you have a room for day-use from 12:00 PM to 18:00 for short rest and shower. Along the Hanoi Old Quarter streets, you see many small restaurants where sell many the famous dishes of Hanoi but we will choose the famous restaurants to enjoy. You will enjoy the typical & famous food of Hanoi such as Bun Cha (Bun Cha: Pork patties and slices of pork belly are grilled over hot coals and served with fish sauce + rice noodle), Nem Hanoi, Banh Mi Hanoi, Phở Hanoi… and Famous Egg Coffee. You come back to hotel around 8:00 PM. 8:30 - 9:00 pm– our support staff picks up from hotel and transfers you to Tran Quy Cap train station. 4 soft berth sharing cabin (Wooden air conditioner cabin). Train: King Express or similar train. Day 2: laocai - Sapa - Silver Waterfall - Love Waterfall - Tram Ton pass - Heaven gate - Sapa (meals: B,L,D). Arrival in Laocai train station, our driver and tour guide will pick you up and transfer you to Sapa Town. 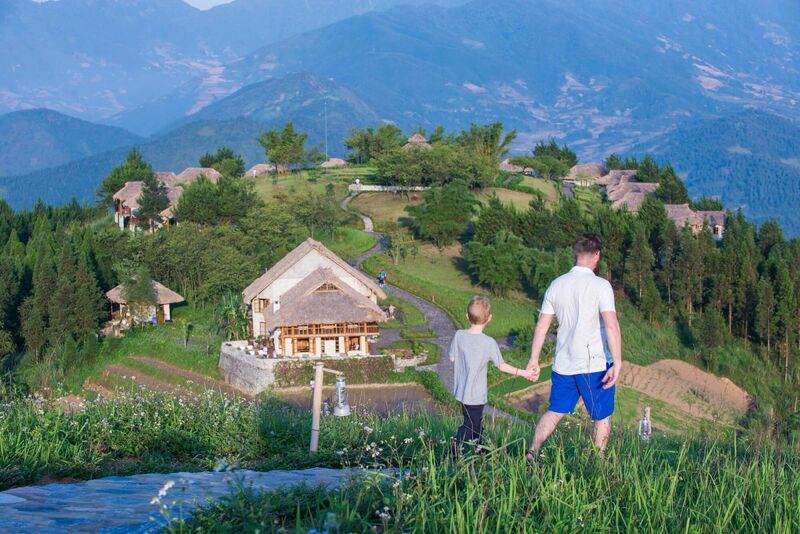 You will have breakfast and take a shower if you want before enjoying Sapa tour. At 9:30 AM, the local guide and driver then depart for the Silver Waterfall. The Silver Waterfall is located about a half hour from Sapa town which offers stunning views over surrounding mountains and lush forests belonging to Hoang Lien National Park. After that, we are driven to Tram Ton Pass where we will trek 30 minutes through the forest. Along the way, you have chances to see wild flowers (for from November to March next year). Trekking along the Golden Stream, you will arrive at Love Waterfall. It is the best place for relax in Sapa, returning to Tram Ton Pass. Then we continue to drive uphill to the Heavens Gate, the highest stretch of road in Vietnam. Come back to Sapa for lunch and have room for rest and free time to discover Sapa town. Day 3: Sapa - Y Linh Ho - Lao Chai - Ta Van - Topas Ecolodge (meals: B,L,D). After breakfast at hotel, at 8:00 AM, You will walk along the main road heading south for about an hour before turning right to a foot path down hill to Muong Hoa Valley. 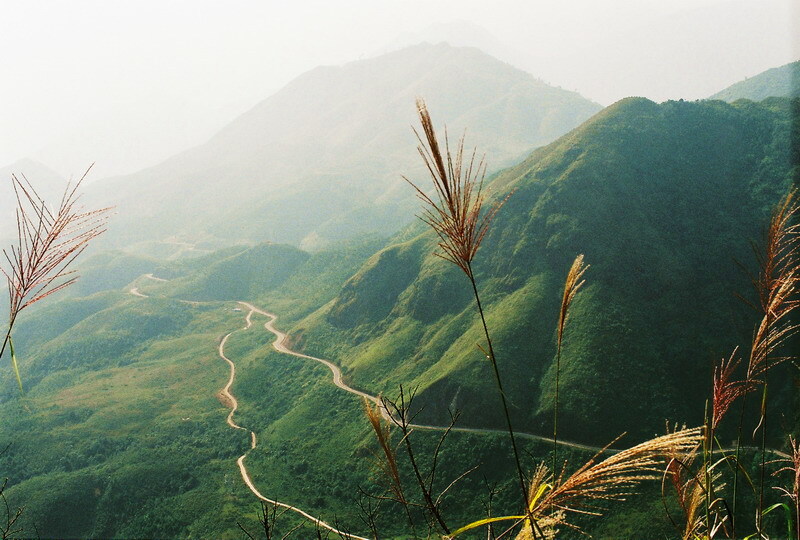 This part offers spectacular scenery of the highest part of Hoang Lien Son mountain range and in a nice day, Fansipan Peak can be seen. Crossing the river by a suspension bridge you will challenge your feet uphill to Y Linh Ho village. Here you will visit to some H'mong families, watching them doing their daily works. Then the trail continues up and down hill for about 2 hours as you reach to Lao Chai, a large village of the H'mong. Picnic Lunch and then following the river bank to Ta Van of the Zay people. 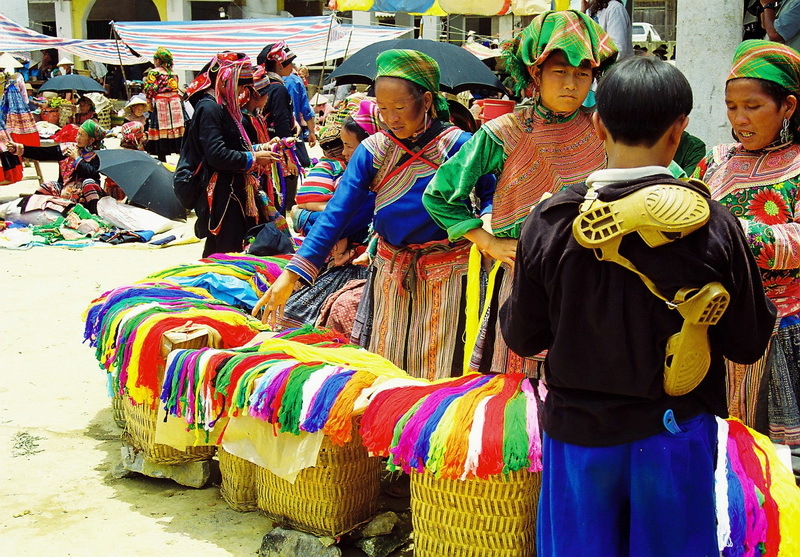 Visit local homes, village schools... you will enjoy much your cultural discovery of local ethnic peoples as well as breathtaking scenery of the Muong Hoa Valley. Pick up and transfer to Topas Ecolodge at 14:00 PM. Arrive in Topas Ecolodge at 15:00, check in and free time to relax and discover the beautiful landscapes in Topas Eco by yourself. Have dinner at Topas Eco restaurant. Overnight at Topas Ecolodge resort 4 *. Bungalow: Executive double / twin bungalow. Day 4: Topas Ecolodge - Sapa (visit Cat Cat village) - night train to Hanoi (meals: B,L,D). After breakfast at Topas Ecolodge, you have free time to enjoy this unique environment of rice fields and fresh air here. Theo resort's policy, need check out at 11:00 AM, at this moment considering, our tour guide and driver are ready to pick you up down to Sapa town. We have lunch at the local restaurant in Sapa before visiting Cat Cat village of the Black H'mong. You come back to Sapa town in the afternoon, take a shower then have dinner before taking you to laocai train station to take a night train back to Hanoi. Train: Dream train, King train or similar train. Arrival in Hanoi train station early in the morning around 5:30 AM, our support staff will pick you up and take you to our hotel in Hanoi Old Quarter, you will have breakfast before enjoying Halong bay. Note: You are transferred to hotel about 5:50 AM, You can take a shower at the bathroom of hotel if you want then have breakfast from 6:30 to 7:20 AM. Hon Gai docking -> Bai Tu Long Bay -> Vung Vieng fishing village -> Cong Do area. 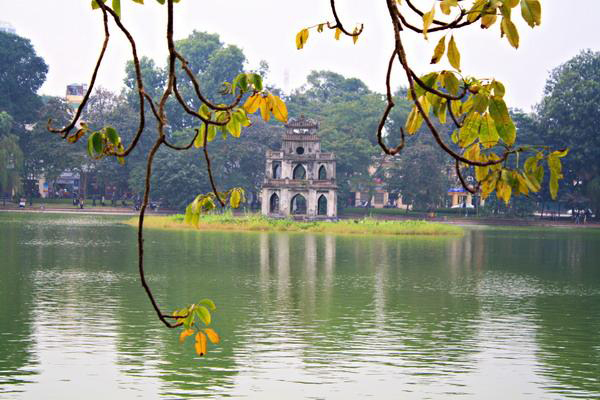 07.30–07.40: Pick up at your hotel in Ha Noi by shuttle bus. 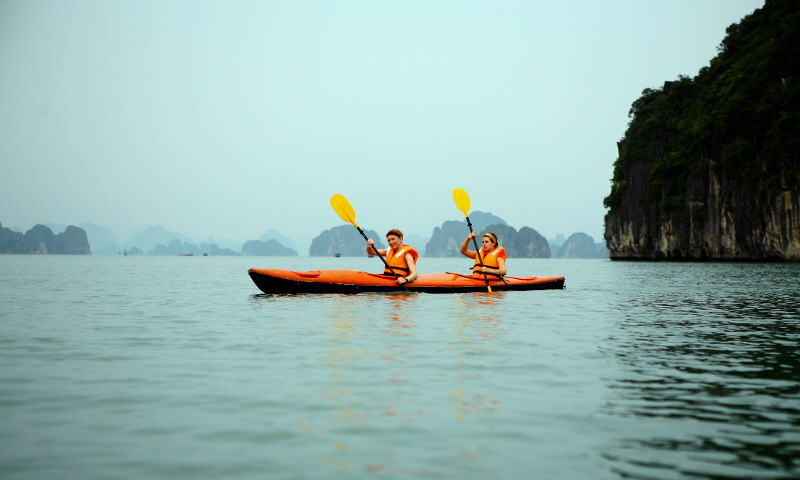 21.00-22.00: Enjoy evening activities (Squid Fishing, Movie Night, Board Games, Massage & Spa services) or relax at the leisure then overnight at private cabin at Cong Do area..
Day 6: Halong bay- Hanoi (meals: B,L). 12.00: Your driver takes you back to Hanoi. Arrival in Hanoi around 16:30. Overnight at hotel in Hanoi Old Quarter 3 *. Day 7: Hanoi departure (meals: B) After breakfast, you have free time off until transferred to Hanoi airport. 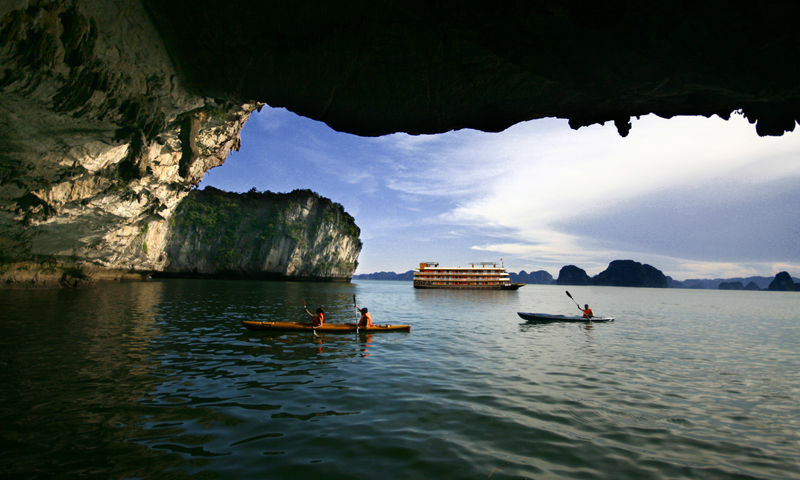 Note: Itinerary of Halong bay cruise depends on each cruises. 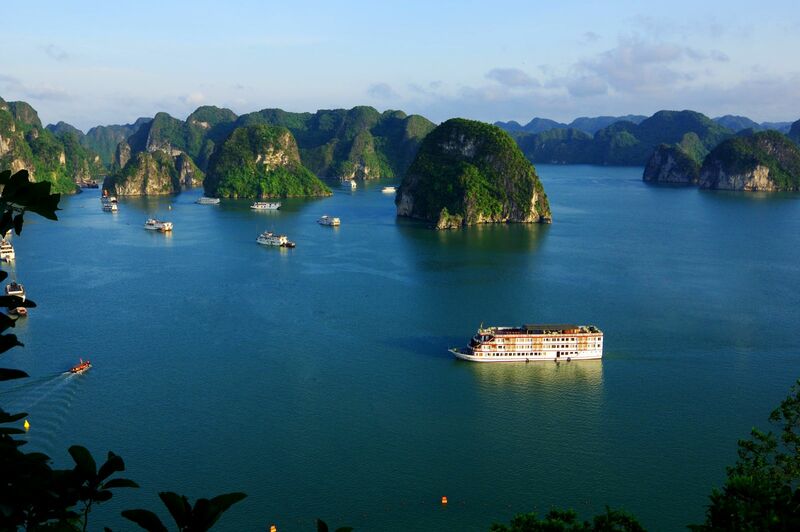 The above prices are for private tour (applied from 4 people up), except Halong bay cruise, you will join with a big boat and its van from Hanoi. From 1 to 3 people so you will join our group. +. Resort 4*: Topas Ecolodge – 01 night fixed. +. Cruise 3*: Swan cruise or similar cruise. - Express night train to Sapa (4 soft berths sharing cabin). +. Train for option 4 stars: Fanxipan or Sapaly Express train. Meals indicated in itinerary. (B: breakfast, L: lunch, D: dinner). Transfer and transportation in Hanoi, Sapa & Halong bay. Train tickets Hanoi – Sapa – Hanoi (4 soft berth/cabin shared).